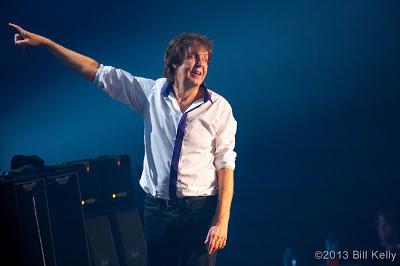 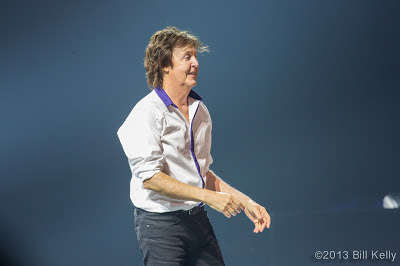 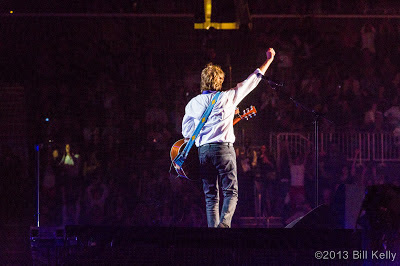 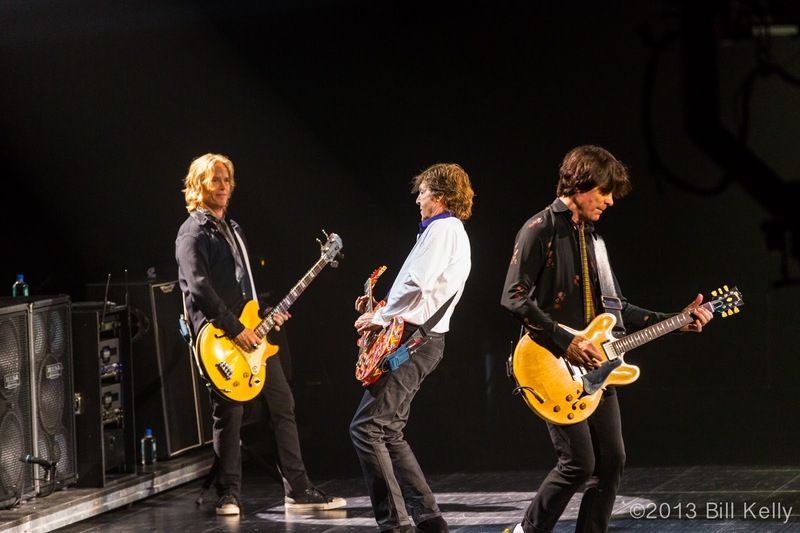 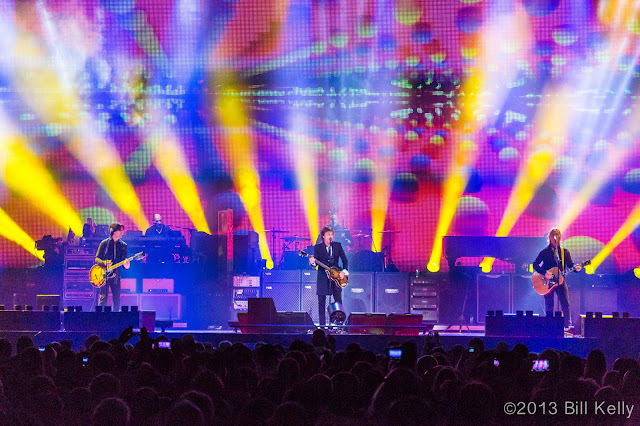 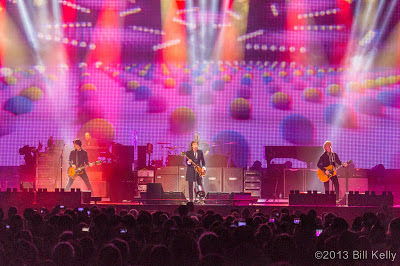 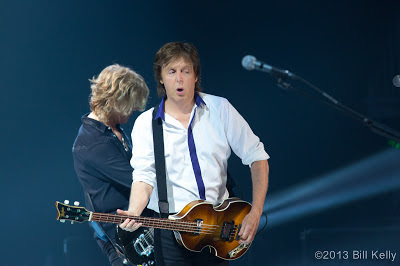 Paul McCartney at the Barclays Center - Sir Paul Gets Back! 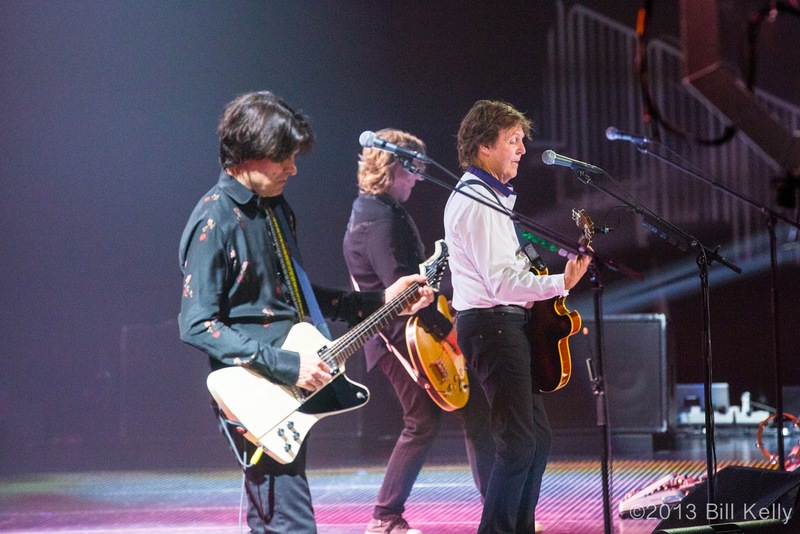 Nearly 50 years after The Beatles premier on the Ed Sullivan show, Paul McCartney played the penultimant show of his Out There tour to an escatic crowd at Brooklyn's Barclays Center. 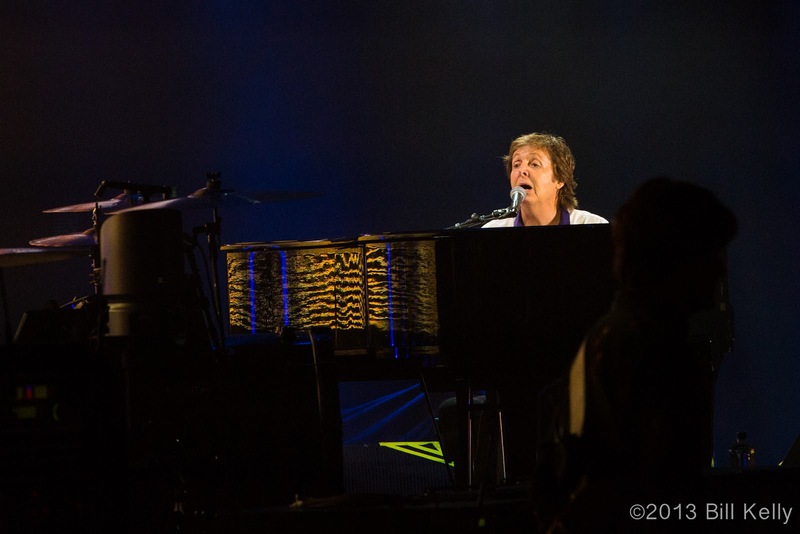 For close to three hours, Sir Paul played songs from his Beatle days, Wings and solo material. The night was full of nostalgia, with McCartney paying homage to John Lennon, George Harrison, Phil Ramone and his late wife Linda. 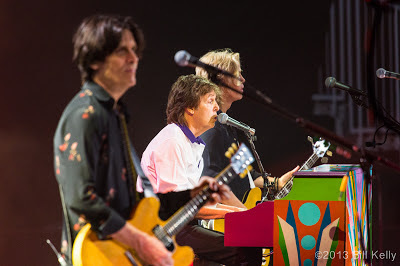 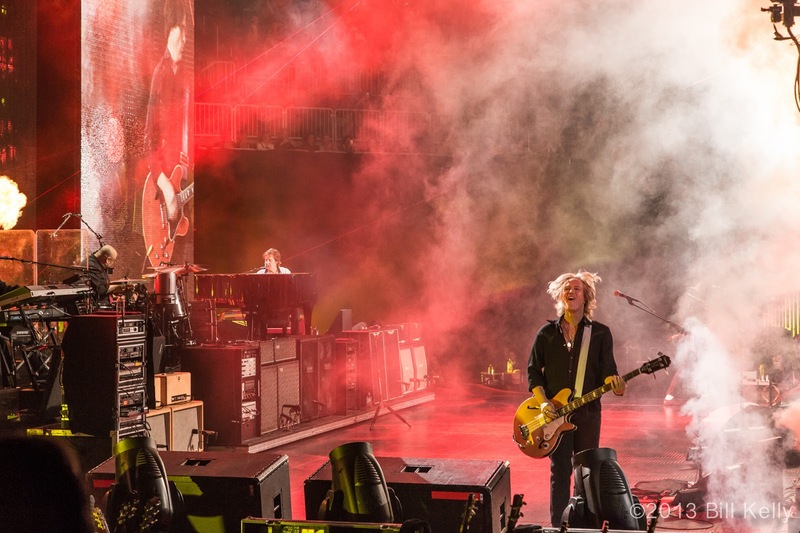 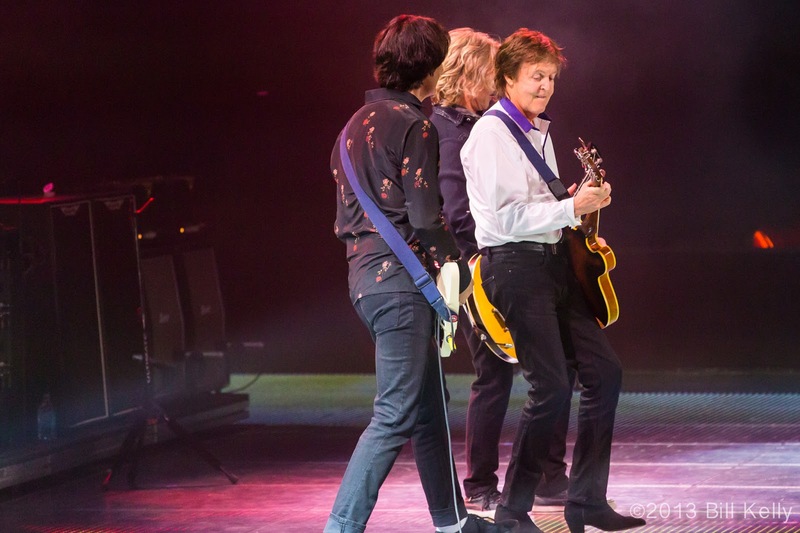 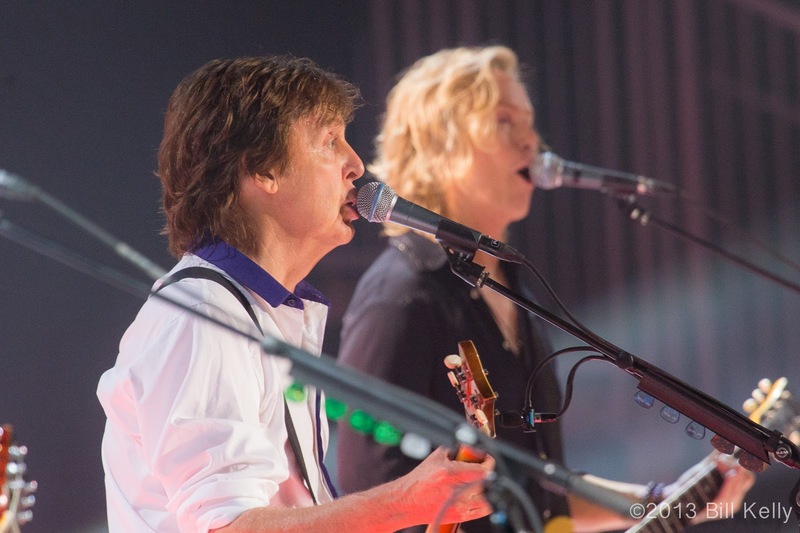 Switching between his vintage Hofner bass, electric and acoustic guitars, pianos and ukulele, McCartney delighted the crowd by playing Being For The Benefit Of Mr. 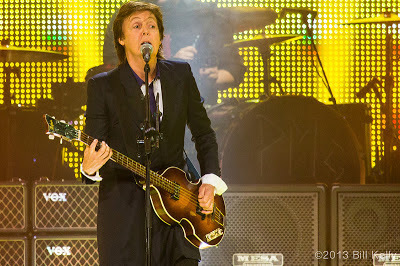 Kite!, a Lennon song from Sgt. 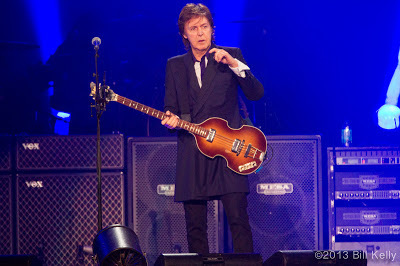 Peppers that was inspired by a poster in an antiques store that intrigued Lennon. 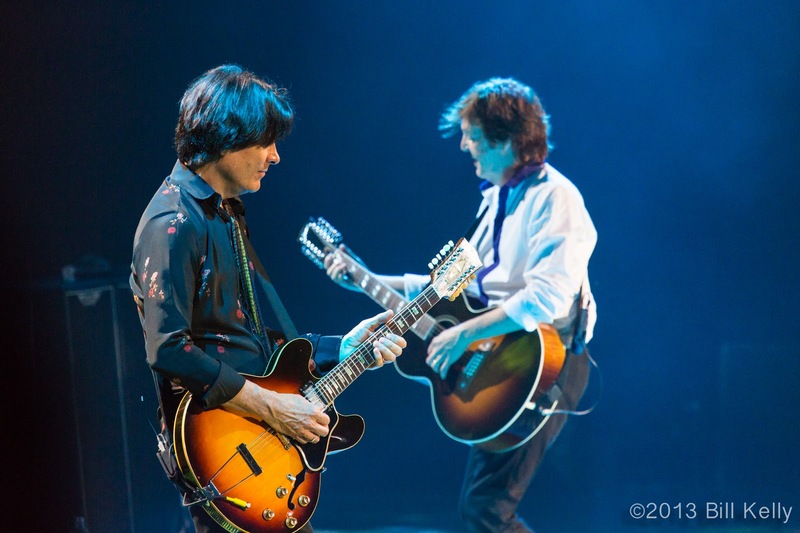 The Beatles stopped touring in 1966 because they couldn't faithfully recreate the layered, increasingly complex songs from Rubber Soul and Revolver. 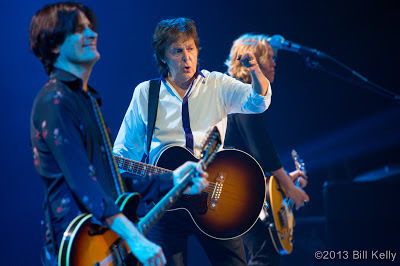 McCartney and his talented band, featuring Rusty Anderson on guitar, Brian Bay on guitar and bass, Paul Wickens on keyboards (and supplying the sound of dozens of George Martin string arrangements) and the incredible Abe Laboriel Jr. on drums were able to somehow recreate the original sounds while bringing new vitality to songs that the majority of those in attendance had grown up with. 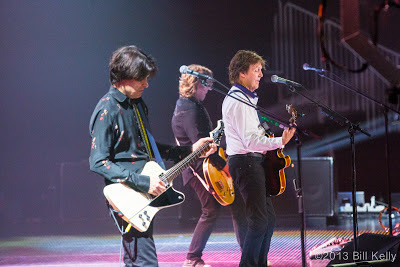 But this wasn't an old geezer show; the arena was full of fans easily not even conceived when The Beatles broke up in 1969. Before the start of Ob-La-Di, Ob-La-Da, McCartney invited the crowd to sing along - hardly necessary, since the crowd,which included Jerry Seinfeld and Paul Rudd, had been singing to every song from the beginning of the show. After the Barclays show McCartney was off to Bonaroo, where from all accounts his set was one of the highlights of the festival. 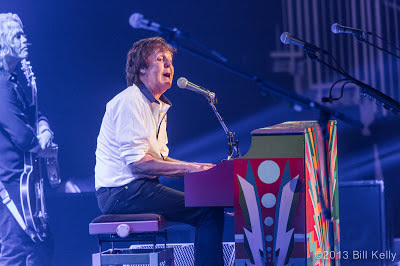 And no wonder; McCartney is more than just living history, he's still relevant, making music that still does what it did all those years ago (to paraphrase George), bringing us all together now, reminding us as he did during the last song of his set that "in the end, the love you take, is equal to the love you make..."